Bedroom inside Latimer Lodge. Forest of Dean Lodges are very comfortable. 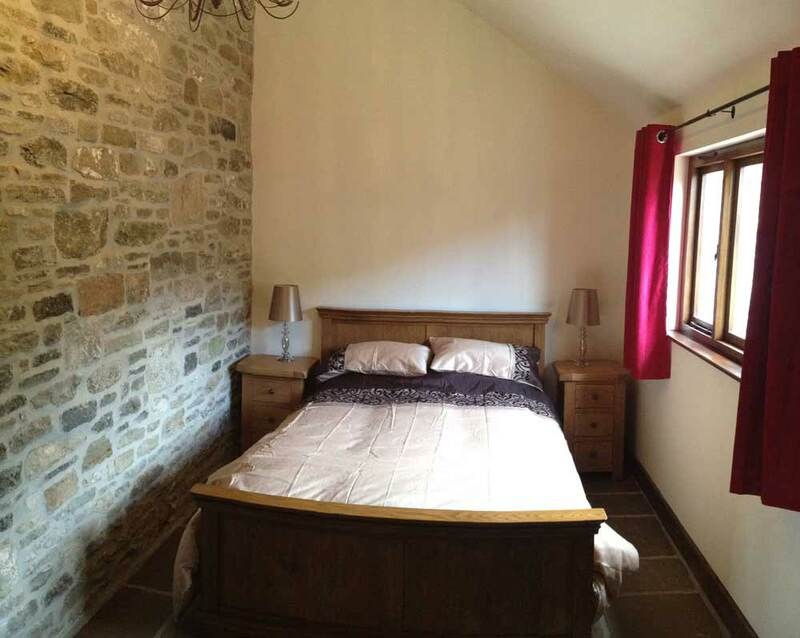 Latimer Lodge A lovely cosy character barn conversion with natural stone walls, oak beams, heated flagstone floors throughout. Oodles of charm and character dating from the 17th Century, now with all the advantages of modern conveniences, this is an ideal base from which to explore the Forest of Dean and its amazing surroundings. take a closer look at our lodge Latimer benefits from an open plan kitchen/lounge with all modern conveniences – including dishwasher, oven and hob, fridge freezer, microwave, flat screen TV, DVD player and Wi-fi connection. There is a large double bedroom with door opening onto a secluded private terrace. Separate dining room, with bed settee for additional sleeping. Modern spacious shower room. If you are looking for a really good holiday lodge in the Royal Forest of Dean, then Latimer Lodge is for you. It matters not what time of the year you visit or for how long. You will find Latimer Lodge comfortable, clean, warm and welcoming. Use our lodges and cottages as a base to explore the beautiful attractions of the Royal Forest of Dean. There is so much to see and do, not just in the forest but the whole of the Wye Valley area of Monmouthshire. A better family holiday location you wont find. Our Forest of Dean Lodges are also idea for couples breaks, long weekends, holistic and health breaks. Our couples breaks with hot tub included are very popular. A beautiful lodge made better with a soothing hot tub. Check out the main website for full details of all of our lodges, cottages, holidays, breaks and services. It has parking for two cars. For more information on Latimer Lodge or any of the other lodges and cottages in Coleford, please follow this link or to see the video on Youtube, along with other videos of the Forest of Dean.